Residents here know not to be fooled by the long, blisteringly hot summer season: that heat doesn’t stick around all year long, and you are going to need to switch over to your heating system at some point. When that time comes, will your heater be ready? To enjoy truly great heating services in Austin, TX, you need to work with a truly great heating contractor. That is why you should dial our number. No matter how outstanding a heating system may be, there is simply no way in which you can hope to enjoy the best performance that it has to offer if you do not schedule your heating installation, repair, and maintenance with a qualified HVAC professional. That is why we suggest that you work with the pros at Roznovak's Services. Contact us now to discuss your heating service needs. Roznovak's Services provides professional heating services in Austin, TX and the surrounding areas. 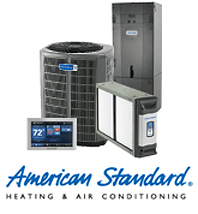 Our heating system services include installation, repair, maintenance, and replacement. There are a lot of different heaters available to homeowners today. While variety may be the spice of life, it can also make it a bit daunting to choose which heater is the most appropriate for your home and for your heating preferences. Ensuring that you enjoy an outstanding performance from your heater is one of our top priorities, so let us help you to determine which is the right fit for you. We offer gas and electric furnaces, heat pumps, geothermal systems, and ductless mini splits. Trust us, we will find the right heating system for you needs. When investing in a new heating system, it is important that you invest in a quality product. However, even great heaters will fail to impress if you do not also schedule your heating installation, repair, and maintenance services with a qualified party. Your heater service quality is every bit as important as the quality of the equipment itself. To get the stupendous performance that you deserve from your heater, let our technicians handle your every heating service need. You really need to know that your heating contractor in Austin is on the up and up and that he or she will complete your heating system services with the greatest of care. There will be no doubt in your mind regarding the quality of your heating services when you work with the heating system experts on our team. We’ll make sure that you are able to heat your home with great efficiency and reliability. 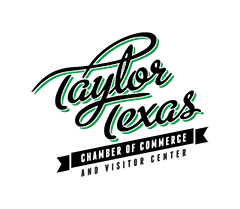 Contact us today to discuss the Austin, TX heating services we have to offer. Why bother investing in a great heating system if you do not also plan on having a qualified heating technician install it? Schedule your heating installation with us. We’ll make sure that you get the most from your new heater. There is no heater out there that is 100% reliable. Problems will come up with your heater, no matter how great it is. Prompt heating repair service is your best chance of minimizing any negative impact of these problems. Furnaces are a great way in which to heat your home effectively and efficiently. They use air ducts to distribute heated air, allowing for fast acting heating service. Call if you are interested in a gas or electric furnace installation or service. You don’t need to have air ducts in order to heat your home effectively. Ductless heating is a great option to consider. With a ductless heating system, you can enjoy all of the benefits of whole house heating without the need for air ducts. One great way to cut energy costs is to use a heat pump to heat your home. They can also cool it in the summer, allowing for year–round comfort. Call now to learn more about the benefits of heat pumps. You need a good thermostat if you want to heat your home dependably, and we’ve got them. Let us know if you are ready for an upgrade. We’ll work with you to help you find the perfect model. With a zone control system, you can take better control over your heating system than ever before. Stop heating your entire house to the same temperature. Call the Austin, TX heating pros at Roznovak's Services today for quality heating system services.